As of 9:30 a.m. Sunday, Oncor reports more than 45,000 customers are without power across North Texas due to an ice storm. Oncor said they have 300 tree contractors working to remove fallen limbs and to clear debris. 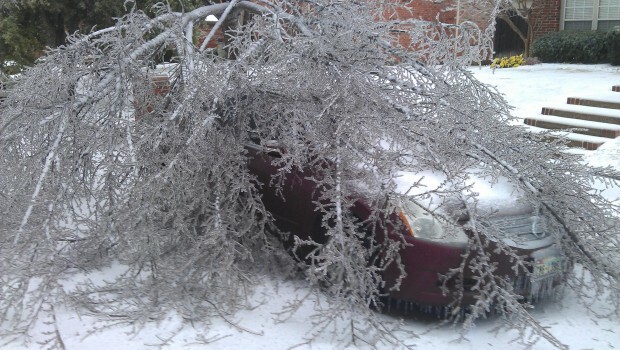 Meanwhile, they have 2,500 utility workers on the job attempting to restore power. Feeder lines – 64 major feeders are down Oncor-wide (2 are in Mesquite affecting 2,696 customers). Devices such as fuses – 1,500 devices are currently out of service Oncor-wide. Transformers – 1,400 transformers have blown Oncor-wide. Service lines to individual customers dropped by limbs – 37,000 individual services are currently down Oncor-wide. These will be the last customers to have power restored. It may take more than 24 hours for all customers to have service restored, according to Oncor, so some customers may want to seek shelter with family or friends who have electricity service. Oncor advises residents to have an emergency kit with flashlights and batteries. Oncor said customers can report and monitor outages at stormcenter.oncor.com. Additionally, phone and power outages can be reported to Oncor by texting the word OUT to 66267 (ONCOR). 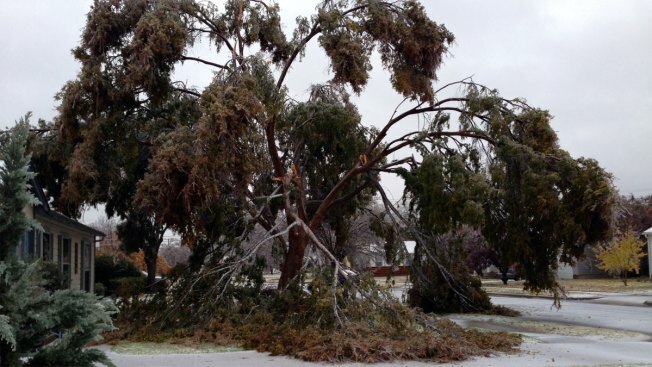 Both Oncor Electric Delivery and Texas-New Mexico Power, which services part of DFW, Lewisville and Waco, said Thursday they were prepared to respond should ice from freezing rain weigh down branches and limbs on trees and crash through power lines. At a facility in Lancaster, Oncor crews prepared backup transformers should they be needed to restore service.